Rewind to: Ireland's greatest all-round sportsman? It is not so very long since the coming of January would have brought the Five Nations championship not very far behind. And in the days before fixture rotation was introduced in 1974, the traditional opener was France v Scotland - perhaps because it was the last match to join the programme in 1910, and that was one of the few places it could be fitted. Some times it was played on New Year's Day. None, though, left a deeper impact on French consciousness than the match played at the Stade Colombes on January 2, 1928. It is remembered for the man who was not there. Yves Frantz Loys Marie Le Pelley du Manoir was more than just the possessor of the most over-the-top rugby name since Barzillai Beckerleg Bennetts had played on the wing for England before the First World War. Scotland's David McMyn recalled many years later how surprised he and his team-mates were to arrive in France for the match and discover that Du Manoir, with whom he had swapped jerseys after a London v Paris match a few weeks earlier, was not playing. He had been captain in the fixture the year before, aged only 22. A multi-talented sportsman who excelled at tennis, swimming and gymnastics, he was recalled by one French writer as 'sturdy and fast, a strong tackler with great kicking talent, a skilled player with a remarkable positional sense that meant he could play every position in the backs.' He had, though, won all his French caps - starting with the Ireland match in 1925, when he was only 20 and hailed as France's best player - as an outside-half. Scotland won 15-6, more or less par for the period, scoring five tries. McMyn, a forward, recalled that he scored one of them 'perhaps because du Manoir was not there to stop me'. Shortly after the match came the news that Du Manoir, who had been training as a military pilot and taking an exam that day, had been killed when his Goudron biplane, lost in thick fog, crashed near the town of Reuilly. His name lives on as few French players from his era do. 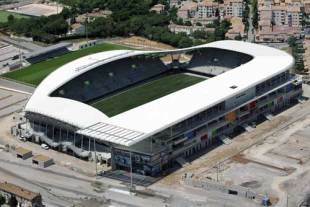 The Stade Colombes, home of his team, Racing Club de Paris, was renamed - and remains - the Stade Yves du Manoir. French clubs for years played a knock-out competition named in his honour, while a stadium in Montpellier and a couple of schools also bear his name. "Du Manoir was an aristocrat, a brilliant student at the highly-rated Ecole Polytechnique and, by most accounts, a likeable human being. Perfect, in fact, as the hero of one of the Mills and Boon rugby-themed romances announced earlier this week." There is, as quite a few musical careers, not to mention rugby stars like Alexander Obolensky and Ronald Poulton, show, nothing quite like a shockingly early death to perpetuate a memory. But there is more than that to Du Manoir's consecration as French rugby's official saint. It is not as if he is the only French player to go so prematurely. That glorious centre Guy Boniface and right-wing Jean-Michel Capendeguy died in car crashes within four days of each other almost exactly 40 years after du Manoir, in the first few days of January 1968. Teenage schoolboy Jean Pradie died in a French league match in 1930, the competition's second fatality in three years. Like all heroes, Du Manoir tells you something of his times. It was a period when the conflict over professionalism that led to France's expulsion from the Five Nations in 1931 was coming to its height. Clubs like Racing were as worried about what was going on in parts of the south-west as the home union officials who voted for France's expulsion. It is no fluke that the cup competition named after du Manoir was initiated by the clubs who set up their own militantly amateur organization and threatened secession from the French Federation, also in 1931. Pilots were also romantic figures, particularly in France where men like Charles Nungesser, Jean Mermoz - a relative of USAP centre Maxime, scorer of a remarkable try at Leicester last month - and Antoine de Saint-Exupery became heroes for their pioneering feats and martyrs when they died in flying accidents. Du Manoir was an aristocrat, a brilliant student at the highly-rated Ecole Polytechnique and, by most accounts, a likeable human being. Perfect, in fact, as the hero of one of the Mills and Boon rugby-themed romances announced this week. His body lies in Paris's world-renowned Pere Lachaise cemetery. His jersey from the Paris v London match is now the property of the French Federation. It was presented after the France-Scotland match of 1958 by McMyn, by then president of the Scottish Rugby Union. French writer Henri Garcia recalled in his Les Contes de Rugby that French Federation president Rene Crabos, a Racing clubmate of Du Manoir's 'stood clutching to his chest the relic which had belonged to his brother in arms, and wept'.